It’s been two years and counting since I joined Instabug and I must admit, I’ve learned a lot throughout this remarkable journey. Here are my top six Instabug lessons learned. Sometimes there are things worth taking a risk for; sometimes the risks pay off. There are two parts to this lesson. The first part was choosing to leave a safe, stable job at a company I knew I could still be in five years later. Instead, I chose to join something new that no one knew about. I chose to join an early-stage startup that could succeed tremendously or fail like a lot of things do. 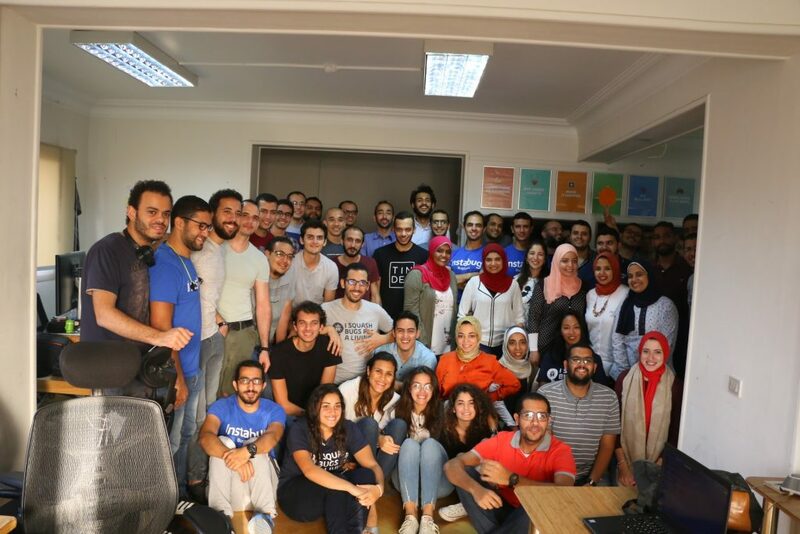 The second part to this lesson was our CEO Omar and CTO Moataz taking a risk to hire me and allowing me to be part of their team and the journey of taking our company to the next level. At the time, I was shifting careers from a BI Developer to a Growth Marketer, and after a couple of months, I shifted within Instabug to be a People Partner. Risks were taken, risks are still being taken and, risks will continue to be taken simply because “sometimes risks pay off”. if someone is giving you a chance, take it and embrace the opportunity. My journey with Instabug started with an interview. Being the innocent little Bambi that I was back then, I came to my Instabug interview with a very stylish blazer and heels, which immediately translated to Moataz that I wouldn’t last a week. Here’s the lesson for you: Own it and prove to everyone that “I can do this”. Walk in those heels until your feet hurt, then switch them out for comfortable kicks. When I first joined Instabug, the team was a whopping total of 15 teammates, including myself, and only one other part-time lady. So, where did I find myself? 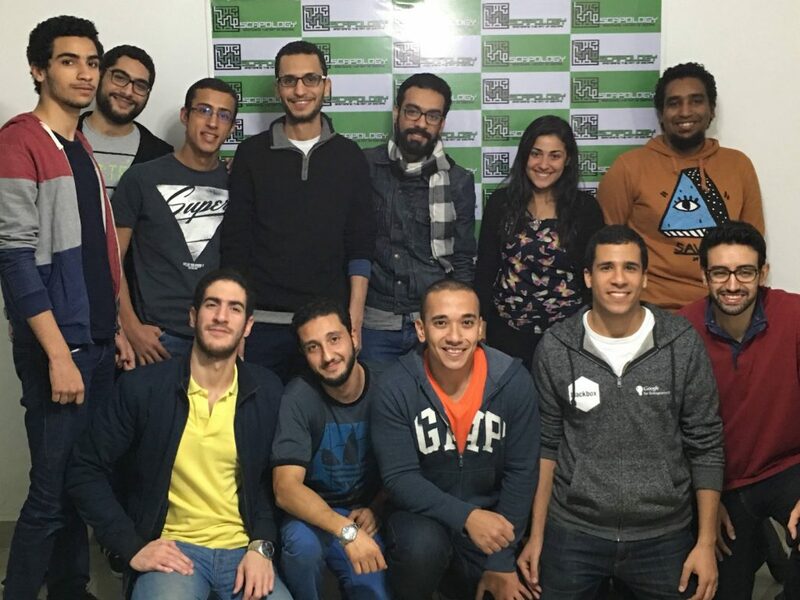 I found myself in an office with 13 other guys, spending 12-hour days at times, growing our company as a team, learning the ins and outs of Instabug, eating lots of food, learning how to play FIFA ’16 (I never won, I think that they did that on purpose so they could feel better about themselves). With a team at your back, your confidence and abilities continue to grow. When you say you are committed to something, you have to give 100% — all in or not at all. I’m not saying it’s easy, it is a balance. It will take time to find your rhythm, but if you’re passionate and mean business, you’ll figure it out. As a People Partner, I need to be there for my entire team, make time to bond with them, put them at ease, be their voice when they need it, be a sounding board, but also a voice of reason. Now that I think about it, I find myself married to Instabug. I took my vows, said “I do”, signed the contract and now, for better or for worse, I’m in it for the long run. Always push yourself further when you take on a project. Do your best to get it done and if you can’t do it alone, ask and look for help. When you’re committed, you will find others who are willing to be there for you. Make the values of the company your values. We spend most of our day at work, so if you don’t make it a place where you want to spend time, then it is not worth your time or effort. When it becomes your place, then there is no telling what you can achieve and with who you can make it happen. Lesson #5: Achievements don’t come easy, but they feel great! The gym is a tough place to be and work is like going to the gym. You need the right equipment and the correct moves to get those perfect abs that we all dream of. Building the right team is tough; hiring is not easy. From headhunting the right people, to writing blog posts targeting the right candidates, to doing eight interviews a day, recruitment is challenging. But once you get that right candidate, celebrate your achievements and get excited about the next phase. Keep at it! I am proud to say that I was involved in the hiring of 70% of the Instabug team (we’re still hiring so if you’re interested, please get in touch). 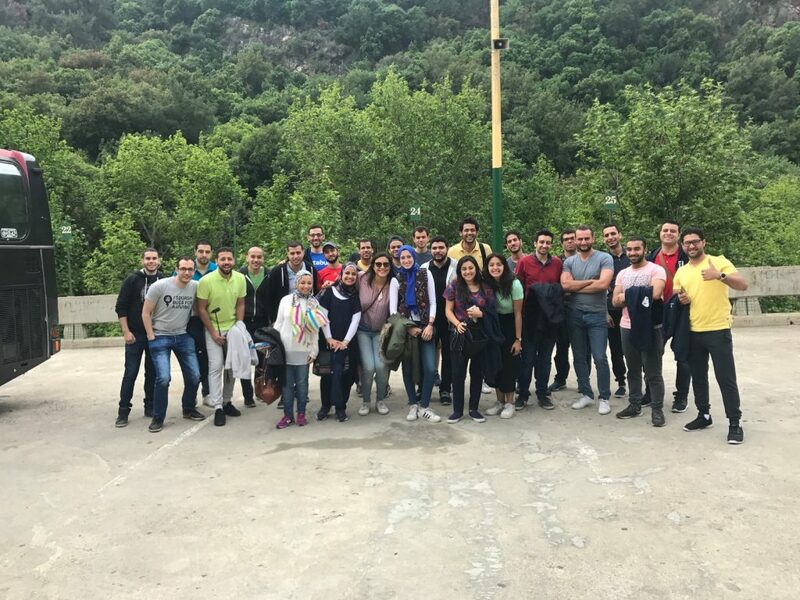 I want to talk about an achievement that was a celebration in and of itself: our company’s retreat to Lebanon. Every day, we deal with the stresses of work and striving to do things the right way. In these cases, a shock to the system is what the doctor orders, and what better way to do that than by planning a trip with the #BugSquad to Lebanon. Now here’s the challenge, it’s one thing to plan a trip for you and your friends, it’s another to plan it for you and 30 others! But we did it — we went, we had fun, we made lots of memories. The most important lesson you will ever learn is to be grateful. Achievements are much more difficult when you’re alone, so be grateful for the people you have around you and for the knowledge you gain from them. And how do you show this gratitude? You work hard, you put a smile on your face while doing it, and you learn to celebrate, be celebrated, and share your good times with others.